Visitors enjoy the sights of Iglesia de San Isidoro and reserve a table for good dishes here. Keep calm and try Spanish cuisine. On the menu, you can select nicely cooked prawns, fish tapas and anchovy. Visit this restaurant for good beer, wine or liqueur. It's nice to taste delicious white tea. The convenient location of Trastienda makes it easy to reach even in rush hours. Imagine a combination of great food and the cute staff, this is exactly what this place provides you with. The fabulous service is something these restaurateurs care about. Also, clients recommend this spot because of attractive prices. The lovely ambiance gladdens people and attracts more guests. The average score is 4.5 on TripAdvisor. Came here after drinks for dinner. It was really busy but we got a spot right away by the counter. The waitors that work there are professional and got us someone to assist us right away. You see a lot of seafood right away on the counter so come here for tapas or raciones if you want a variety of seafood. 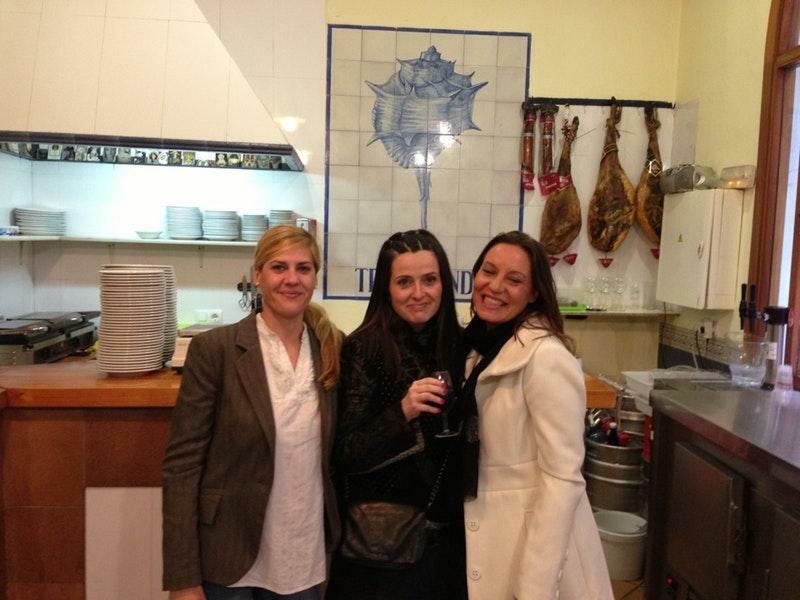 We ordered grilled octopus, Jamon Iberico bellota, anchovies tapa, and bacalao con salmorejo tapa. All were very tasty and fresh. Prices were very reasonable, too. Will definitely come back to try their clams! riquisimo! Great seafood tapas (they have sandwiches and large dishes as well). The potato salad was awesome! Fish place. Food looked good but it was just a loo stop on way home.